Bulgur is made of wheat and has been a basic food in the Near and Middle East for centuries. To make bulgur, durum (hard) wheat is first steamed, then dried and roughly chopped so that the final bulgur only needs to soak in hot water for about ten minutes. The most important mineral nutrients of durum wheat, such as phosphorus, magnesium and calcium, are preserved when processed to bulgur. 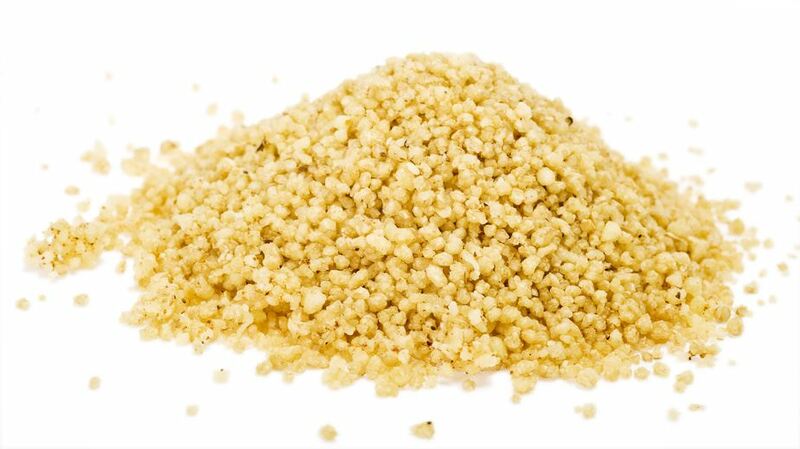 The same applies to the fibre and the high content of B-vitamins and vitamin E. Not for nothing, bulgur is part of the basic food scheme in the Near and Middle East – it is extremely healthy and versatile. Particularly popular are for example bulgur salad, bulgur gratin and soup, side dishes for fish, meat and vegetable meals, bulgur as meat substitute or in desserts. Due to the gluten it contains, people with celiac disease should not eat bulgur.